Thesis: “Hukou and Gaokao: The Effect of the Household Registration System and Regionally Biased University Admissions Policies on Labor Mobility and Human Capital Accumulation in China”. From the College of Liberal Arts, the department marshal for the 2016 Commencement will be Chenyue Lei. Chenyue Lei is the daughter of Mengjue Lei and Yali Wu of Jiangxi, China. A Paterno Fellow and Schreyer Honors Scholar, she is graduating with bachelor of science degrees in economics and statistics and a minor in mathematics. She completed research with Kala Krishna, liberal arts research professor of economics, on the topics of international economics and economics of education. She was also a teaching assistant and tutored for the Morgan Academic Support Center for Student-Athletes. In addition, Lei completed a corporate finance internship with China Everbright Bank in China. 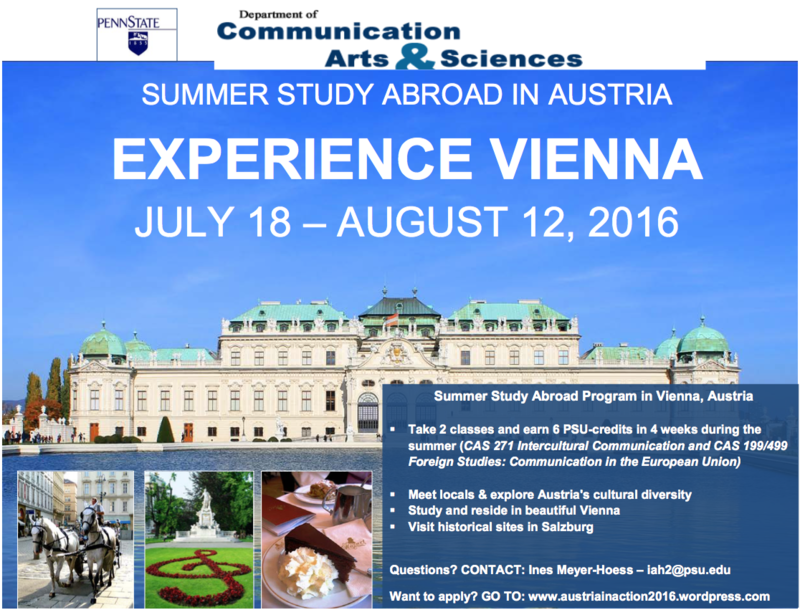 Next year, she will attend Boston University to pursue a doctoral degree in economics. You can read about each of the College’s department marshals here. At the May 7 commencement ceremony, 22 students will represent the College of the Liberal Arts as student marshals. Only one student, an economics major, will represent the entire college. 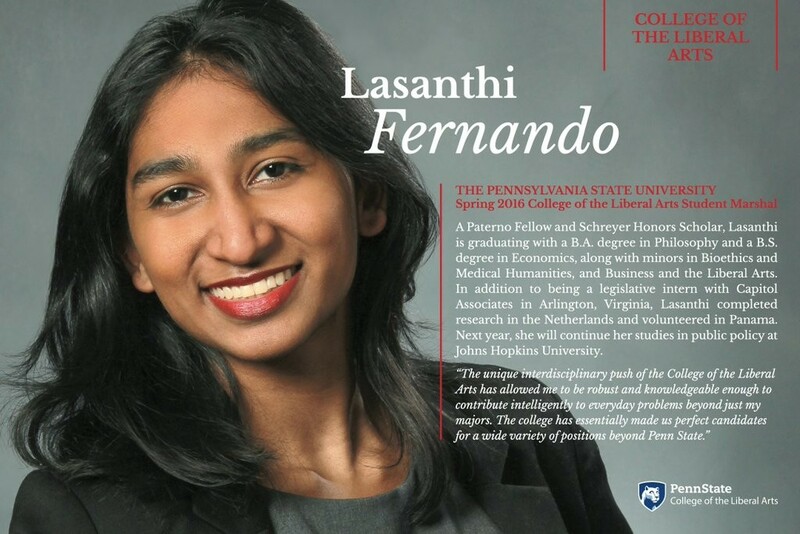 Lasanthi Fernando, a double major in Philosophy and Economics, as well as a Schreyer Honors Scholar will give the student address to approximately 1,500 undergraduates receiving their degrees from the College of Liberal Arts. Commencement will be live streamed at www.wpsu.org/liberalarts beginning at 6:25 p.m.